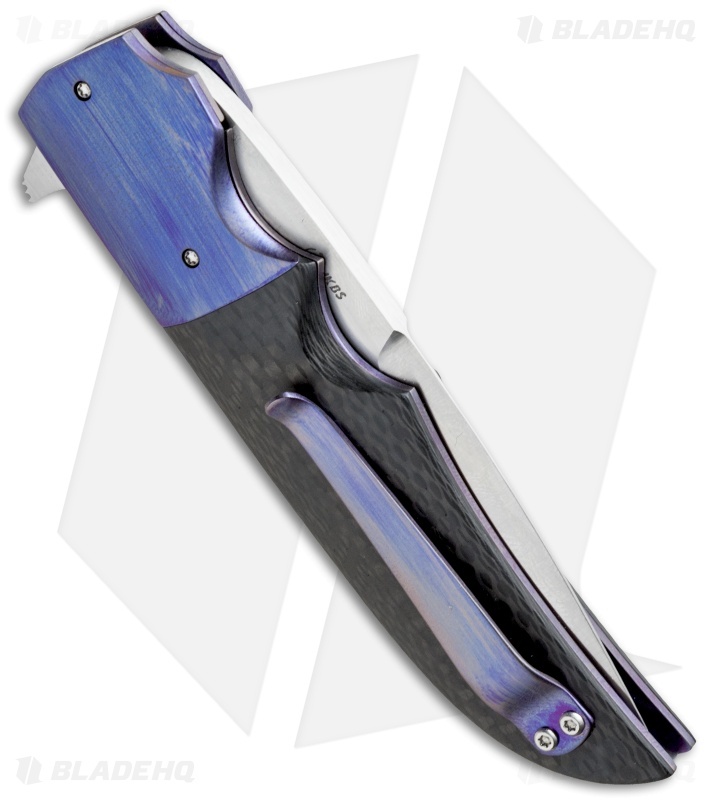 This hand-made Drop Point Flipper carries Jason Clark's signature design and smooth precision build. 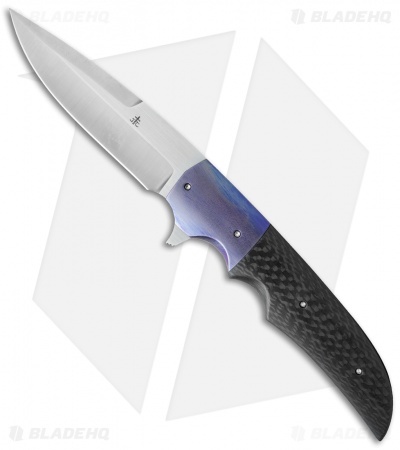 It has a CPM-154 steel blade with an un-sharpened top edge and smooth IKBS pivot. 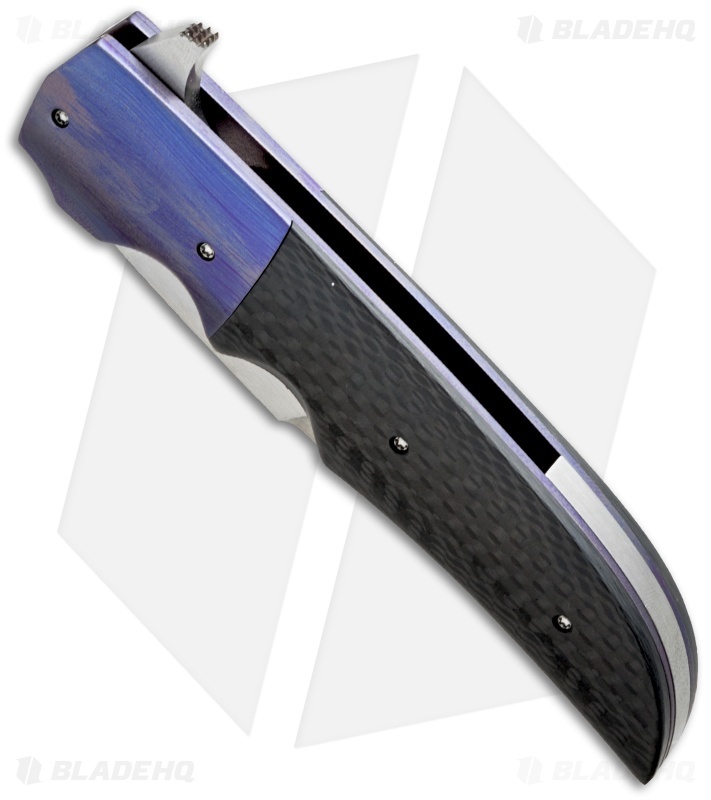 The handle has a satin carbon fiber scales with purple anodized titanium bolsters, liners, and pocket clip. There is some side to side play with the pocket clip. New from maker.